Before I get into my race recap from the Rock n Roll Los Angeles Half Marathon, I thought I’d share what was playing on my playlist as I crossed the finish line for this amazing half marathon. As I mentioned in my Disneyland Half Marathon recap, I never want to run a half marathon again without music in my ears. 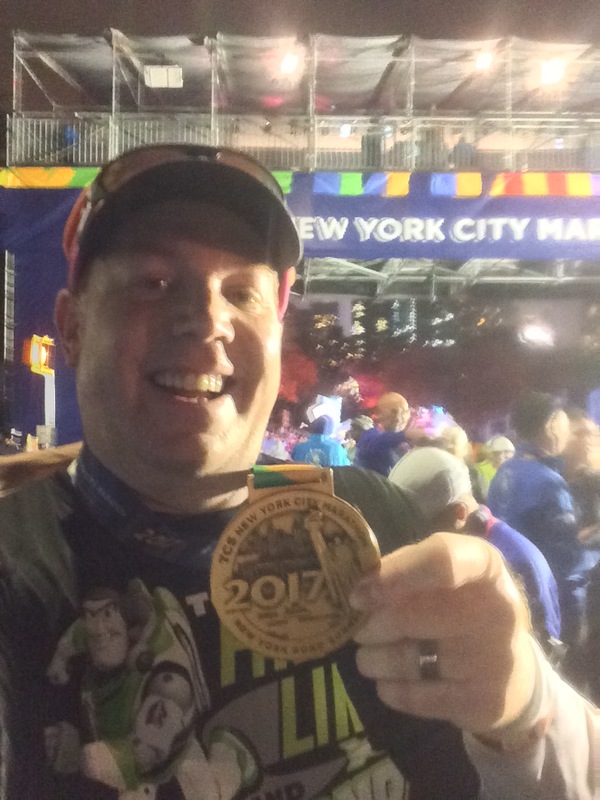 In each of my previous half marathons (Tinker Bell Half Marathon and Disneyland Half Marathon), I ran with music available to me and headphones, but did not ever listen to the music I had with me. So, after crossing the finish line at Disneyland, I decided then that I would never do that again. Glad I did. While there were various bands playing music along the course, dance groups dancing to their music, and even music blaring so loud through this tunnel that I didn’t hear my music, I wanted music that I knew and was familiar with along the course…the music that I have been training with. I’m not generally a fan of Lady Gaga nor do I watch Glee. However, I LOVE this song! It’s absolutely an awesome song to run with and has energized more than a few training runs for me in the past. This song has floated all over my list. Because the very start is kind of slow, it started off as a beginning song. However, the more I’ve run with the song, the further down the list is has gone. I think that I just like the title Edge of Glory. When I heard this song start-up on Sunday, I got really happy because it was so fitting. I was running my best half marathon yet. By the time it came up, I knew I was going to finish ahead of my goal time. I was truly on the Edge of Glory! Following Edge of Glory, I got Closer to the Edge. Now, I know that this is a Thirty Seconds to Mars song. However, I loved James Durbin‘s version of this song when he sang it on American Idol. So, I downloaded it off iTunes during that season. This is another song that made its way onto my playlist after hearing on one of my wife’s playlists first. As you listen, you can hear that this song is full of energy and is the perfect follow-up to Edge of Glory. Both of these songs found their way on my playlist around the same time and they have been coupled together ever since. Even as I got closer to the 13 mile marker, this song gave me so much energy. Towards the end of the song, I was on a walk break and was realizing that I had to start running before the 13 mile marker, meaning that I would have to run longer than one minute if I was to finish the final tenth of a mile running the entire way. Yes, I felt closer to the edge of glory and decided to start my next run interval and just keep going until I finished. As I crossed the finish line, I was Rolling in the Deep to a new half marathon PR! Again, I know that this is an Adele song. However, I loved Hollie Cavanaugh‘s version of this song when she sang it on American Idol. What I love about this song is the way the bass line keeps the song building all the way to the bridge. Honestly, I’m not even sure why this song works so well while I’m running. It just does. When I was running on Sunday, the song started just before I hit the 13 mile marker. So, I only heard the first verse and maybe the start of the first chorus before I lost track of what was going on with the music. After all, I was crossing the finish line and a little overwhelmed with the emotion of crossing so fast. When you beat your expectations, lots of thoughts start to cross your mind. As a matter of fact, I don’t even remember much about hearing this song on Sunday. As I thought of what to post on this Music Wednesday, I saw where my playlist was at the finish Sunday and knew that this song was playing. I didn’t stop the music until one song later and remember that I didn’t stop the music immediately after finishing. So, I knew that this song must have been the one I crossed the finish with. Plus, I remember very vividly the two songs the preceded it and how I felt about them. After Sunday’s wonderful exprience, I may never run a race again without music. There were other songs that helped me along the way that I’ve highlighted previously. For example, I thought it was cool to be running to the Mandisa song Good Morning. In the song, there’s a line where tobyMac says, “You do Zumba, I do not. Give me like half a marathon…” I thought it was cool to be running in a half marathon as that line went by. It’s so interesting what will jump out at you as interesting while running. The songs I’ve highlighted today were so fitting to what I accomplished this past Sunday that they were obvious choices for this post. It’s kind of cool when the songs line up that way for you. Halloween Themed Half Marathon = New PR!